Il momento tanto atteso per migliaia di giocatori è praticamente arrivato. Fifa 14 è stato bombardato da critici e opinionisti in modo pesante, eppure siamo tutti qui ad aspettare il rilascio ufficiale della Demo che consentirà di tastare almeno in parte il videogames e assaggiare così il calcio secondo Electronic Arts. Per PC la demo è attesa per il giorno 10 settembre verso le ore 11 e 12. Tra le novità di quest’anno spuntano 30 campionati nazionali in più mentre sono state cambiate le valutazioni dei giocatori dove in testa c’è sempre da Messi seguito da Cristiano Ronaldo e Ribery(e già qui il pubblico si scalda pur di difendere i propri beniamini). Nella Demo sarà possibile utilizzare 5 squadre tra cui Juventus, Milan, Manchester City, Arsenal e Borussia Dortmund. I nuovi obiettivi saranno 43 e permetteranno di guadagnare mille punti. a me dice fifa 14 demo ha smesso di funzionare, cosa posso fare? hai aggiornato tutti i driver ? If you experience lag use D3DOverrider and enable/force tripple buffering and vsync on FIFA 14 exe. Also enable/force antialiasing on AMD Vision Engine Control Center (AMD/ATI) or Nvidia Control Panel (nVidia). For those with the Direct X crash issue please update your Direct X! Go here to find out how. If your controller has problems with the demo please download these Xbox360 controller files and put them in your main FIFA 14 Demo folder. If you get the “APPCRASH” error select the fifaconfig.exe and FIFA 14 Demo.exe go to their Properties > Compatibility and select Win XP SP3 as compatibility mode. Try the next solution if the demo crashes before launching: Open C:/My Documents / FIFA 14 Demo / instance0, select “replay0.bin”, right-click, Properties/ Check read only. If the demo crashes at the language page you need to re-install Windows Media Player! Tutorial here. The intro can’t run without WMP, so the demo crashes. Another solution for the lag is to set the SCREEN_SLEEP to 16 in C:/My Documents / FIFA 14 Demo / fifasetup.ini. If you get the ”E0001” error is because your graphic card doesn’t support the Shader Model 3.0! You must try to run your game on low settings and follow the next steps: check that the resolution from the fifaconfig.exe is correct, uncheck Vsync from fifaconfig.exe and try this fix. Also try to update you graphics card driver! If you have graphic lightning issues, turn off the Anti-aliasing and V-Sync from your graphic card Control Panel OR set Anti-alising mode to application-controlled. Registry-Fix – Type in Windows-Start-Menu: regedit. You will see 1 tool regedit.exe -> start it. 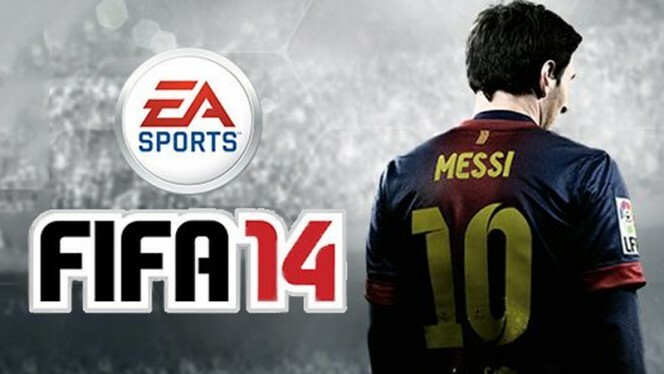 Now go to this directory: HKEY_LOCAL_MACHINESOFTWAREEA SportsFIFA 14. Rightclick in the right field and select new -> String Value. Type the following name: Install Dir. The value is your FIFA path.